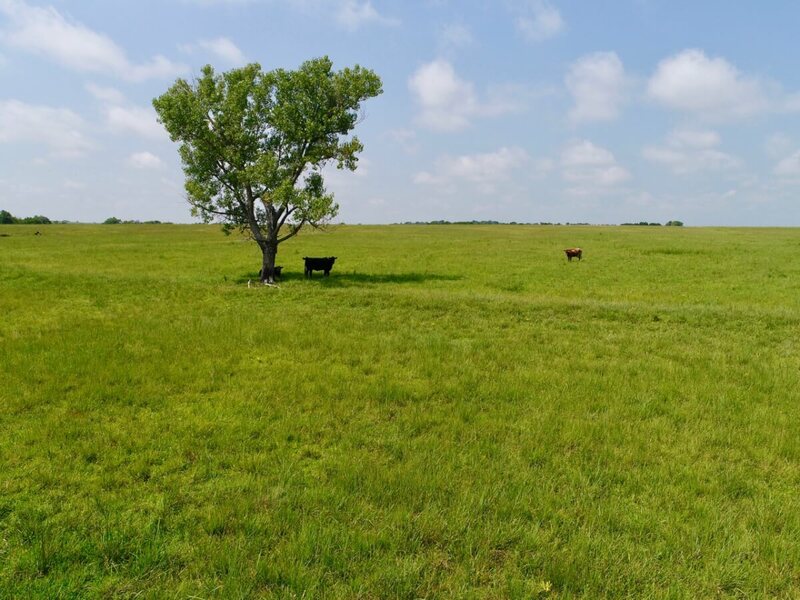 PROPERTY DESCRIPTION: Beautiful 76.6 acres consists of pasture utilized for livestock grazing and hay meadow. A rural water meter is present on the property. With utilities, and a 1,000 gallon septic tank in place this would make an amazing home site, cabin site, or weekend retreat. The large pond has not been stocked but does have fish in it. Good water gaps on all water ways. Large hay & storage barn with pens and car port for extra storage. Property is cross fenced, and has timber/creek along the east side of property for wildlife. Road access to east and north side of property. Mineral rights transfer to buyer. LAND LOCATION: From Main and State, south on State to 110th, east to property.